Christmas is creeping up on us, so it’s time I got over my aversion to shopping and started getting organised. I’ve read a lot of Christmas gift guides for travellers, but there’s only so many suitcases, adapters and travel clothes I need. 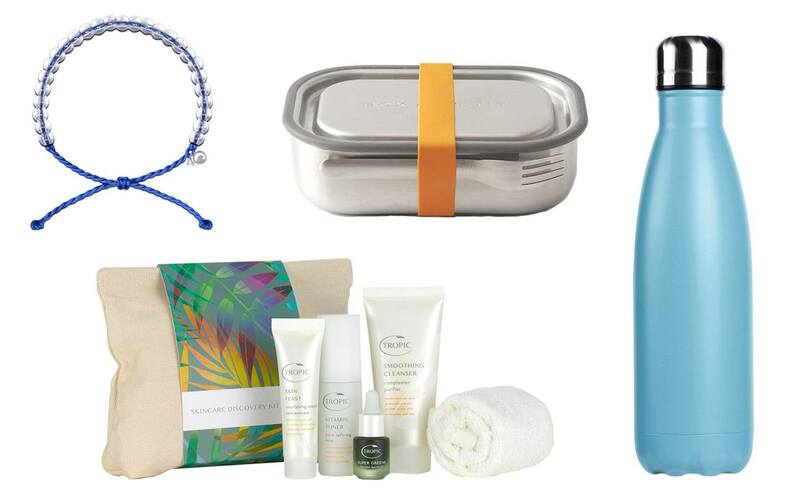 So I’ve collated 23 of the best travel-themed presents for home and away. None are too expensive – half are under £25 and all are under £100. Most of these I’ve either been given or bought for other people, or are on my wishlist. 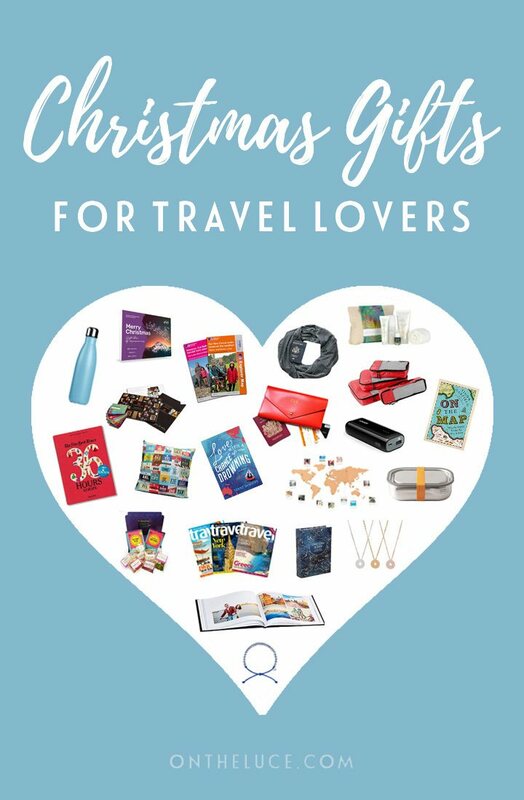 So if you’re looking a present for a travel-lover (or some suggestions for your own list for Santa), hopefully you’ll find the perfect travel-inspired Christmas gift for you here. 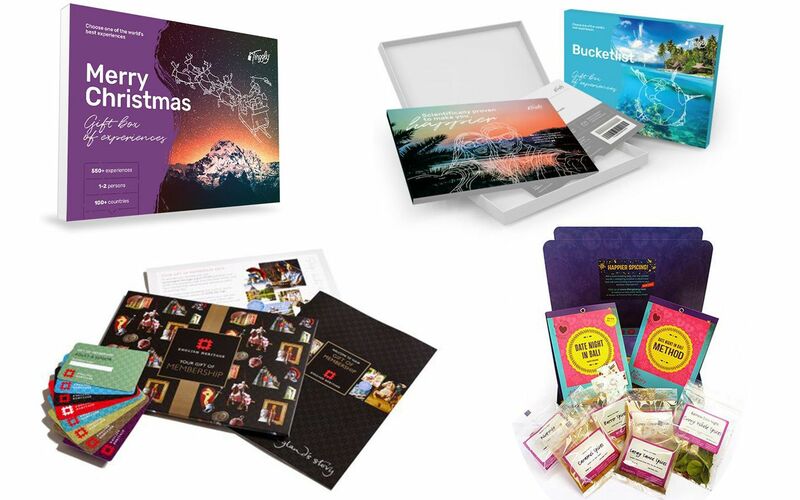 Tinggly gift box (from £59): For me the best Christmas gift has to be the gift of travel, but how do you buy someone a travel experience? Well you can with Tinggly, who offer travel gift box sets. 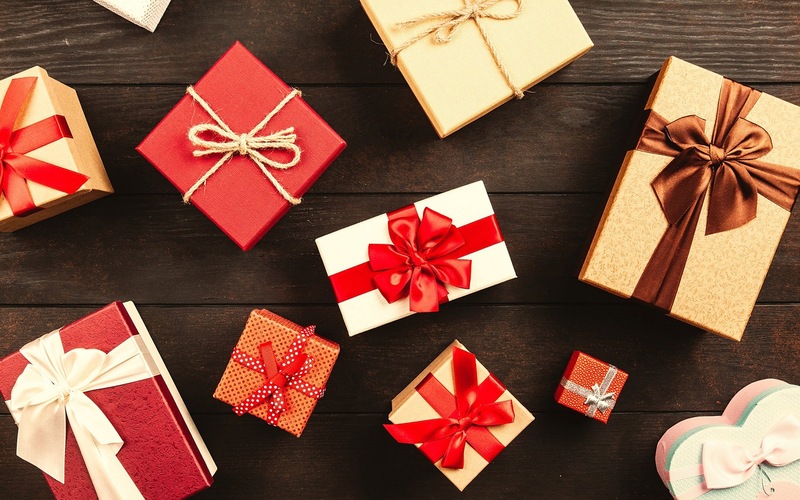 You just choose a box (which you can have as an e-voucher if you’ve left it to the last minute) and the person you’re giving it to gets to choose their own experience and dates. 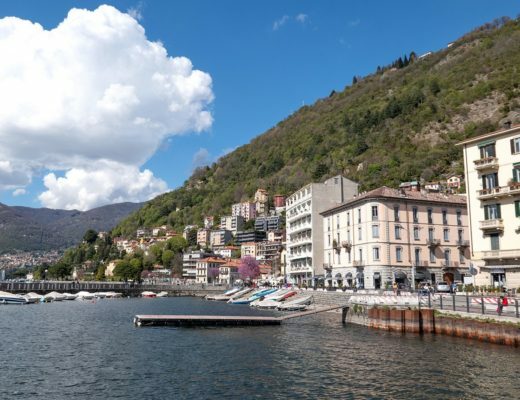 Their Merry Christmas experience gift box covers over 560 activities in 100 plus countries, with everything from spa treatments and dinner cruises to white-water rafting and helicopter flights. 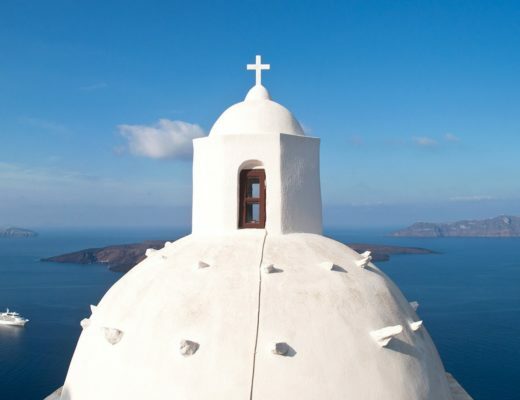 Or there are specially curated boxes for weekend breaks or romantic trips for two. And they’re all valid for five years so you don’t have to worry about running out of time. Travel membership (£56): Membership to a local heritage or parks organisation is a great present to get people exploring close to home. 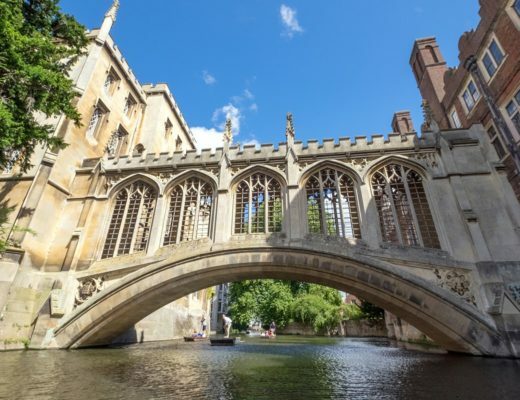 In England you can choose between English Heritage and the National Trust, but many other countries have something similar. Try the America the Beautiful National Park Pass in the USA or Heritage NZ in New Zealand. Spicery subscription (£24 for three months): Ideal for food lovers and wannabe chefs, each month’s Spicery subscription box contain a selection of recipes and the spices to go with them from a different country. There’s enough to make a two-course meal for four people, and you’ll learn to make dishes like Lebanese mezze, Moroccan tagine and Sri Lankan curry. Lonely Planet’s Travel Book (£26): I have a whole shelf of Lonely Planet books, but this is a coffee table book on a grand scale, with a double page spread for every country in the world. It’s full of big, beautiful photographs as well as maps and information about each of the 230 countries, so you’ll never run out of travel ideas (and learn lots of useful pub quiz facts). 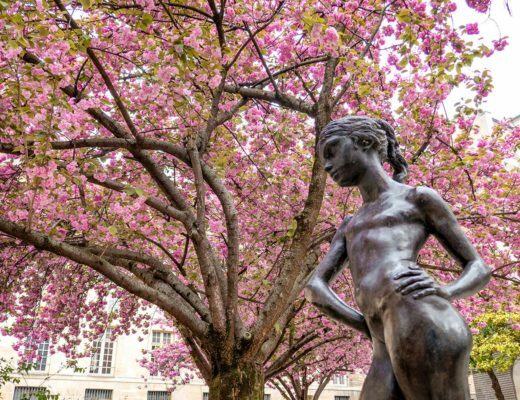 36 Hours Weekend Guides to Europe, the USA and Canada or Latin America and Caribbean (£20): These New York Times weekend guides have a selection of 36-hour itineraries. 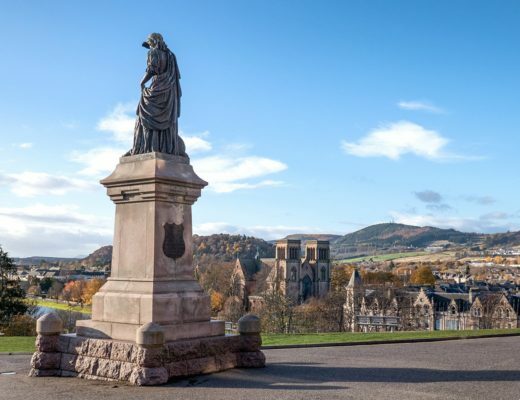 There are maps and recommendations for what to do, see and eat in a mix of city breaks, coastal and countryside escapes – and they’re not just in obvious destinations either. 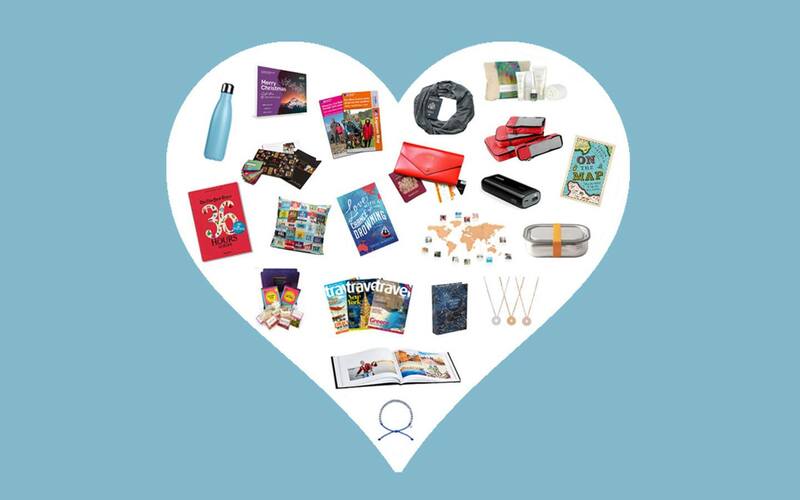 Travel magazine subscription (£35): A travel magazine subscription is a whole year’s worth of inspiration, and there’s something exciting about it arriving through your letter box every month. There are lots to choose from – I really like the Sunday Times Travel, but there’s also Lonely Planet, Wanderlust, Condé Nast Traveller and National Geographic Traveler. 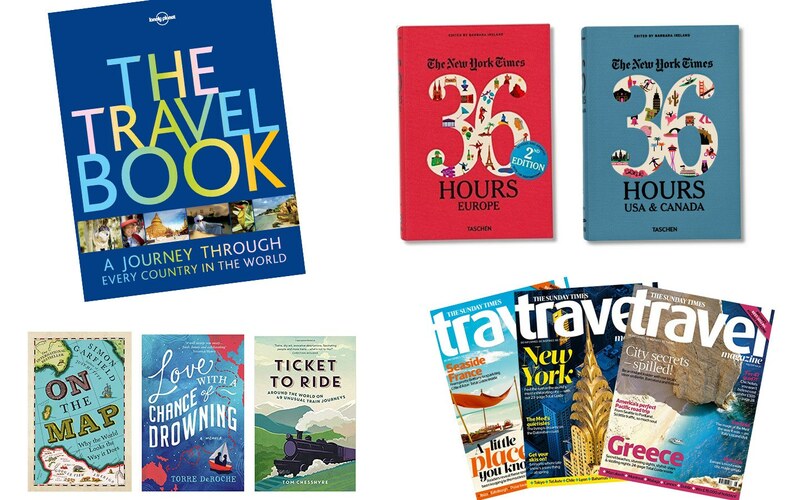 Travel books (from £5): There are so many travel-themed books around, from guidebooks to fiction, it can be hard to know where to start. I’ve got lots of recommendations in my 30 books for travellers post, but few of my favourites are On the Map for cartography lovers, Ticket to Ride for train fans and Love with a Chance of Drowning for travel memoirs. Water bottle (£8): Single-use plastics have become public enemy number one this year, and at this bargain price there’s no excuse not to get a refillable water bottle to carry with you. This stainless steel water bottleis plastic-free, insulated, comes in lots of different colours and will keep your water cold all day (or your flask of tea/mulled wine hot in winter). Reusable picnic set (£32): Sticking with the plastic-free theme, this lunchbox and cutlery set is a smart and sustainable alternative to disposable plates and plastic cutlery. It’s made from stainless steel with a vacuum seal so you don’t have to worry about it leaking and a silicone strap to attach the cutlery to the box so it doesn’t get lost in the bottom of your bag. Tropic skincare kit (£28): UK toiletry and make up brand Tropic use sustainable ingredients, are palm oil and paraben free, and approved by the Vegan Society – plus they smell amazing and are gentle on the skin. Their skincare discovery kit is perfect for travel and includes mini versions of their top products like the cleanser, skin feast moisturiser and super greens serum. 4Ocean bracelet ($20): This bracelet is made from recycled glass beads with a cord made from recycled water bottles. But the organisation behind them also remove a pound of rubbish from the ocean for each one sold – and so far they’ve removed over two million pounds. The bracelets come in a variety of different colours named after different animals they help conserve. Custom map wall print (€50): This is such a clever idea idea, turning a map of anywhere in the world into an artwork. Go to the Mapiful website, choose the place you want in the centre of the map, and zoom in or out as much as you like. Then add a caption, choose a size and they’ll print it for you to hang on your wall. 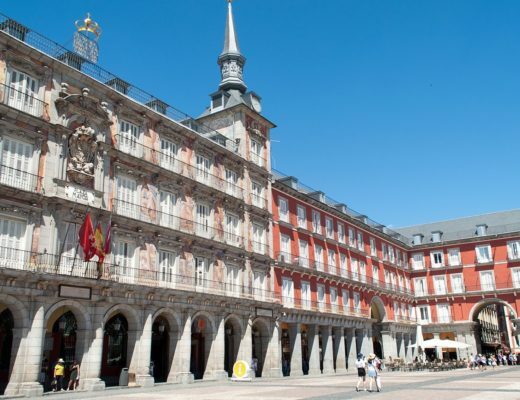 It’s great for expats or to remember a special destination. Airportag home accessories (from £15): Airportag is another great idea, with colourful designs inspired by airport codes. There are cushions, blankets, mugs and shower curtains featuring places from all around the world, some of which are customisable, as well as lots of other products like bags, travel journals, beach towels, poster prints and t-shirts. Vintage-style travel posters (from £3): These reproductions of vintage posters are a real bargain (there’s even a ‘buy two get one free’ offer). I have Caribbean and Italy prints on the wall in my lounge but there are lots of different destinations from around the world which you can choose from, and they’re available in A4, A3 or A2 size so you can get a frame to fit. World map cork pinboard (£26): Those scratch off maps of the world are a staple on travel gift lists. But if you fancy some travel-related décor that’s a bit more practical, how about a corkboard map of the world? You can pin the places you’ve been or want to visit, or just use it as a noticeboard. Plus you can paint it to match or contrast with your walls. Packing cubes (£18): I know packing cubes are a bit of a travel gift list cliché, but they really do work! You don’t have to be a long-term backpacker for them to be useful. They make it much easier to organise your clothes in your suitcase, make repacking much quicker if you’re moving around a lot, and you can squeeze so much more into your case. Portable battery charger (£12): The days when my old Nokia mobile lasted a week between charges are long gone. Now my iPhone barely makes it through a day. So a portable charger is a really good idea to carry around. They keep getting smaller, cheaper and more powerful – this one’s the same size as a chocolate bar and will give an iPhone two full recharges. 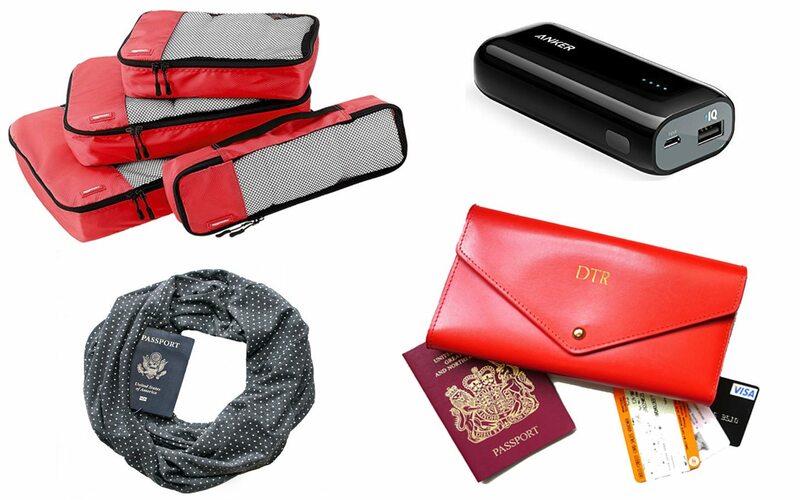 Travel scarf ($49): This is an ingenious idea that’s an upgrade on the dreaded money belt. The Speakeasy Travel Scarf has a hidden pocket that’s big enough to store your passport, phone, credit cards and sunglasses in. So you keep them tucked away safely, but with a choice of different fabrics and colours you don’t have to stand out as a tourist. Leather travel wallet (£40): Bring a touch of style to your airport experience (even if you’re likely to be flying economy) with a recycled leather travel wallet to store your tickets, passports and paperwork. They look smart but have lots of storage compartments inside, and come in lots of different bright colours which you can also get initials embossed onto. Line a day diary (£9): A simple but clever idea, these diaries have a page for each day of the year divided into five sections for five years. Each day you write a couple of lines and then when you get to the end you start again in the next section. It gets more interesting the longer you do it, when you can look back and see what you were doing on the same day each year. Compass necklace (£15): I’m not a big fan of obviously travel-themed jewellery, but these compass necklaces have a subtle travel theme without being too cheesy. They come in silver, gold or rose gold, with an adjustable length chain, and look a lot more expensive than they are! Photo book credit (£30): Most travel-lovers have hundreds of photos on their computers doing nothing. I love photo books and try to do one each year with photos from that year’s trips. 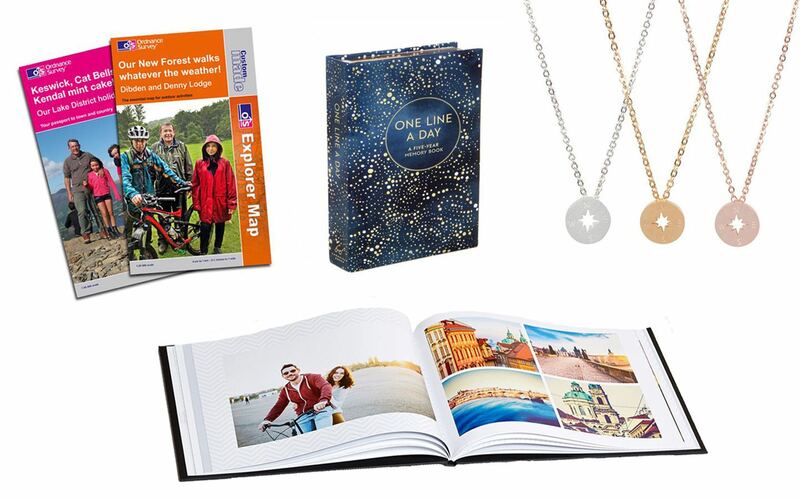 Photobox books are good quality with easy to use online software. They often have sales where you can buy a photo book credit to give as a present which lasts for three months. Custom UK map (£17): Ordnance Survey are the kings of maps in the UK and they now have a bespoke map service to let you create your own map. You choose your location and scale, and can put your own photos and text on the cover, then they’ll print it for you. This post is brought to you in association with Tinggly. It contains affiliate links, where I get a small commission at no extra cost to you – thanks. Wow, the scarves are a genius idea! Brilliant aren’t they? I could never bring myself to wear a money belt but this is such a good way to keep valuables close to you. I’ve been given the spicery packs as a gift before & loved the way the dishes came out so much that I ended up giving them to two of my other friends as anniversary gifts so that they could them cook together with their other halves so that definitely gets my vote! But the English heritage membership is a great idea and gives people living here in the UK a great excuse to do a bit more exploring! Might get that for my in laws! I bought the Spicery subscription for my brother last year but quite fancy it for myself too! English Heritage membership is great – I just got a joint one and there are so many places I want to go and see now. Someday soon I am going to have to get packing cubes… I hate the mess that is unleashed in my case! And Mr P could do with those spices! I think you’ve made my mum’s christmas shopping far easier this year! I was a bit of a cynic about the packing cubes for ages but they do really help keep things organised! Some great ideas here! I’ve asked for a travel magazine subscription this year for the first time. And I can recommend The Travel Book, I love my copy! I got given a travel magazine subscription about three years ago and still get it, it’s so nice to have it come through the letterbox as I always forget about it! You’ve given me some great ideas for gifts for myself as family members are pestering me for gift ideas… I really need a portable battery charger, can’t believe I don’t have one yet, and the customisable OS maps are genius idea! I love walking and have lots of maps, but tempted to get customised ones of the lakes! So cool! I love a good travel magazine too. I have the Times travel mag and got Wanderlust for my birthday. Fancying adding Conde Nast to the list! And the Line a day diary has gone on the list too – looks brilliant! Cheers for the ideas! Hope it comes in useful! I need to get myself an OS Map, and use my portable charger all the time, such a simple but useful idea. Haha, I know that feeling – I always start off thinking there’s nothing I want and then ending up with a huge list! Some lovely ideas here Lucy. I particularly like the Vintage Posters. And I’d love a camera bag that didn;t look like a camera bag. Great list. The vintage posters are great – I have three framed in my lounge, and they’re so cheap you could easily swap them around. The perfect camera bag is definitely the blogger holy grail! I’ve been meaning to get some new packing cubes for ages. Thanks for the reminder! Can’t beat packing cubes – I’ve become a bit evangelical about them and keep buying them for people! There are so many lovely things on this list – I love the vintage poster (so reasonable) and the Lonely Planet book would keep me engrossed for hours! I have the previous edition of the Lonely Planet and love it, great for flicking through and I always end up with a couple of extra places on my wishlist every time I look through it! Ooo, the ‘one line a day’ journal is a great idea!! I also LOVE the necklaces! A fab list lovely Luce! Thank you, I love the diary – and have a necklace on this year’s shopping list! I have a few of these (although not packing cubes which I keep thinking I really should try) but I want pretty much everything. I am a suckered for travel themed homewares, especially vintage posters. 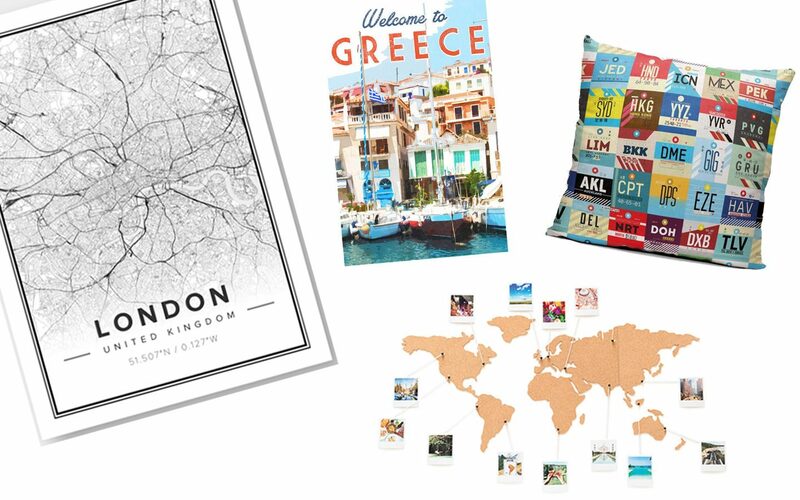 I can’t resist travel and map-themed home things too – the posters are great, such a bargain! I love these present ideas! I should just send my parents to this article, haha. Hope you get everything you want! Great list. I can vouch for the ONA Bowery camera bag, as I love the black version I have. If I had to pick one I am listing the Spicery subscription. What a great way to learn about another culture through their food and spices. The Bowery bag is great, it’s the first camera bag that I’ve actually liked the look of that does the job too! My husband has asked for the Spicery subscription so I’m planning on learning lots of new recipes this year. What a great list with lots of variety! I may check out the spices for my mom, she’s always so hard to buy for. 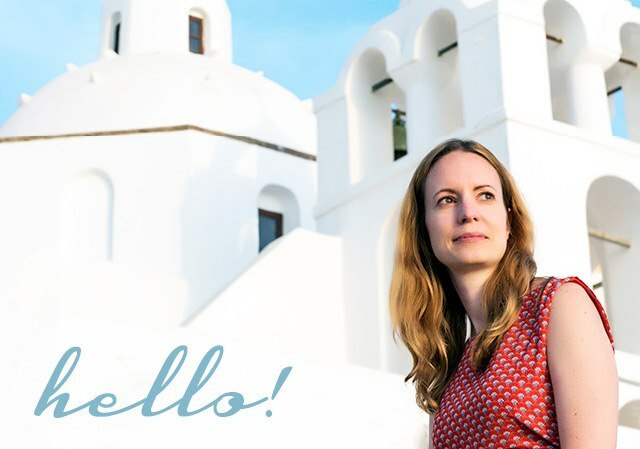 I have to say…I’m not a big fan of travel magazines – I feel like there are already so many places I want to go, and getting a new magazine each month just makes my list that much longer, haha! I know what you mean with the travel magazines – as soon as I cross one place off my wishlist another five come to take its place! Will be doing the customised OS map for my dad’s birthday of the central lake District, as the normal ones all meet right in the popular areas around ambleside, Grasmere, Elterwater etc, so if you head off on a huge walk from those areas, you always need at least 3 of the maps! This would allow me to put Grasmere at the centre and get everything on the one – such a great idea OS!!! Will remember to use the link from your blog when I buy! So glad to hear you liked them! And the OS maps sound like such a lovely idea. Hope you have a lovely Christmas too. Thank you for such brilliant ideas! So often people think I’d just like more luggage as I like to travel, but I’d much rather have some of these smaller and more thoughtful gifts. Travel books are always lovely to give and recieve, I’ve just enjoyed Ben Coates witty observations on the Netherlands and the River Rhine as a British Expat. But by far and away my vintage travel posters (gifted to me by my sister) are my absolute favourites. Thank you! I’ve definitely got enough luggage too so it’s always nice to find something a bit different. And thanks for the book tips, I’ll add them to my reading list. You can never go wrong with gifting a power bank to a traveler. Haha, yes we do always need power! Beautifully written. There are so many lovely things in your post to gift to travel lover. Thanks for sharing…..